The Jays Game #3 against Cleveland. 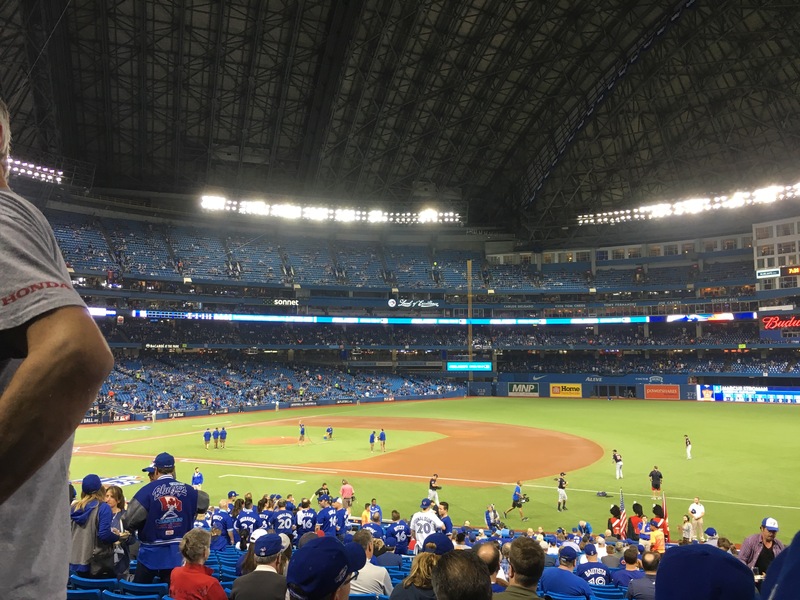 We ended up losing the game, and my Dad and I got beer spilled on us from the people behind us, but it was nice to hang out with my Dad just the two of us. Plus I got to wear my Kevin Pillar shirt and that was awesome. This is TeamUp, which is an online calendar and an app that is made to be used by teams so that everyone can see people’s different calendars. 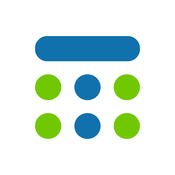 I started using it to plan and schedule blog posts. I find it super easy to use, and because you can make different coloured calendars within the one calendar I’m finding it keeps me super organized. One coloured calendar is green for unscheduled, but where I want to put a post, and other things like “Review Tuesday” are a different colour, so I can see what I have scheduled at a glance. 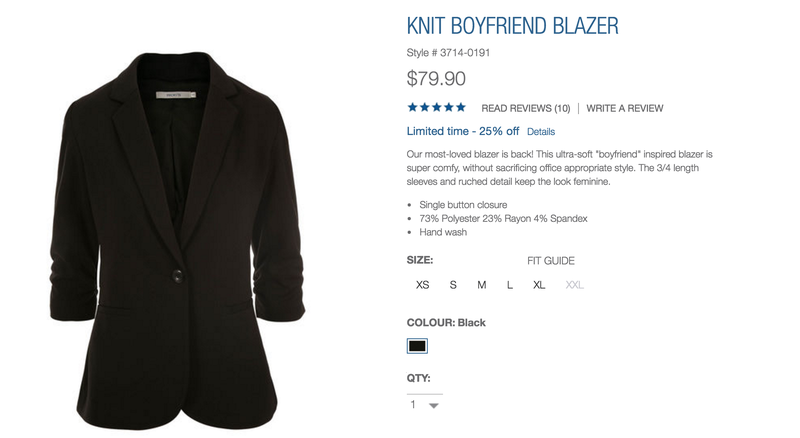 This is not a great picture but this is my new favourite thing – the boyfriend blazer from Ricki’s. It is the best thing I’ve purchased (clothes wise) in a long time. It looks amazingly chic and professional, but it feels like a sweater. And because of that I’m in love. I feel cozy when I wear this. Best of both worlds. Nasty Galazy by Sophia Amoruso is the latest book that I started to read. (Thank you public library). Sophia Amoruso wrote #GirlBoss, which I really enjoyed and I am super excited to be reading this one. 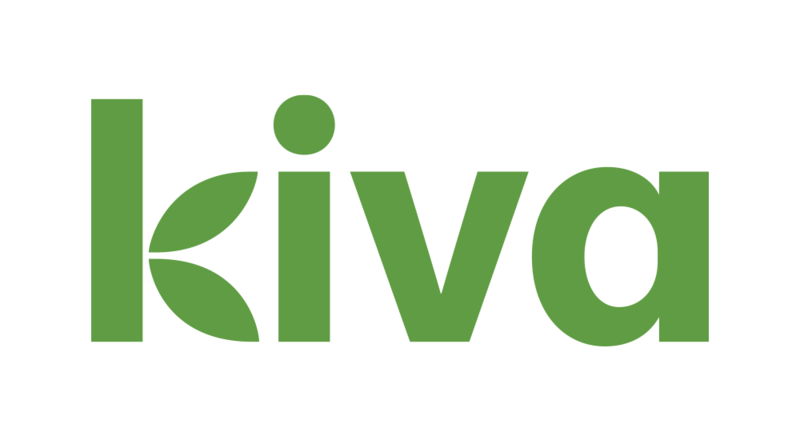 Kiva is a brilliant website and company that gives micro-loans to people in developing nations. You donate $25 at a time to whatever kind of loan that you want, (there are search parameters where you can select gender, country, industry etc). Then over a certain period of time the person pays you pay and you can donate that money again to someone else. I’ve been using this site for a couple of years now (I read about it in Vanity Fair one day) and I love that I’m helping people. It makes me feel good and brings me joy.